No glass or breakable decorations allowed at any time. For decorations in regulation vases only. No decorations are allowed during fall cleanup. Bronze vases must be recessed for winter at this time. 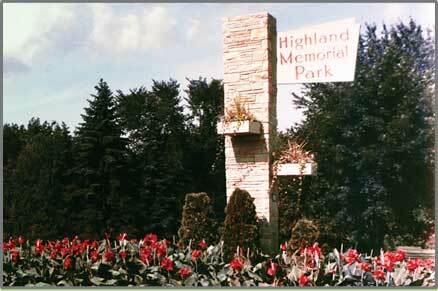 Beginning October 16th, all decorations will be removed and the vases will be recessed to prevent winter damage. All decorations will be discarded. Winter decorations may be placed beginning the Friday before Thanksgiving. All winter decorations will be removed beginning March 1st. Winter decorations will be removed before Easter, if possible. from freezing water and snow removal equipment. No decorations are allowed during spring cleanup. All decorations will be discarded. Only regulation bronze vases may be used during this time. and discarded as they become unsightly. during the summer season will be removed. Crosses, easels, etc. may be placed beginning on noon of the Friday before the above special holidays and may remain until the Sunday following each holiday. Veterans flags and flag holders may be placed the Monday before Memorial Day and remain until the day after the Fourth of July.